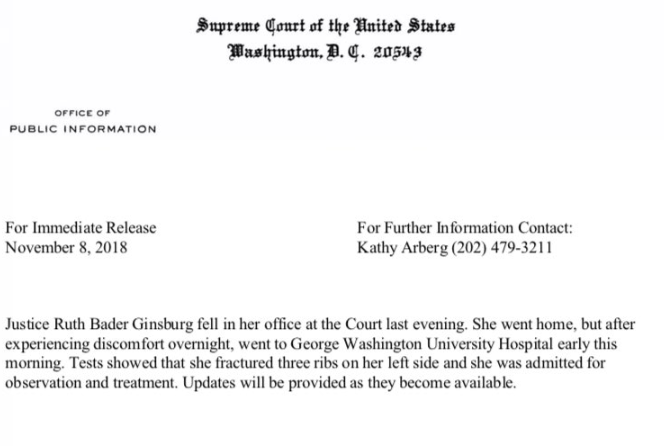 She went to George Washington University Hospital early this morning after experiencing discomfort overnight, according to emailed statement from Supreme Court. We would imagine the 'Left' is about to start panicking since the GOP's gains in the Senate during the Midterms would only ease any new SCOTUS nominees going forward. 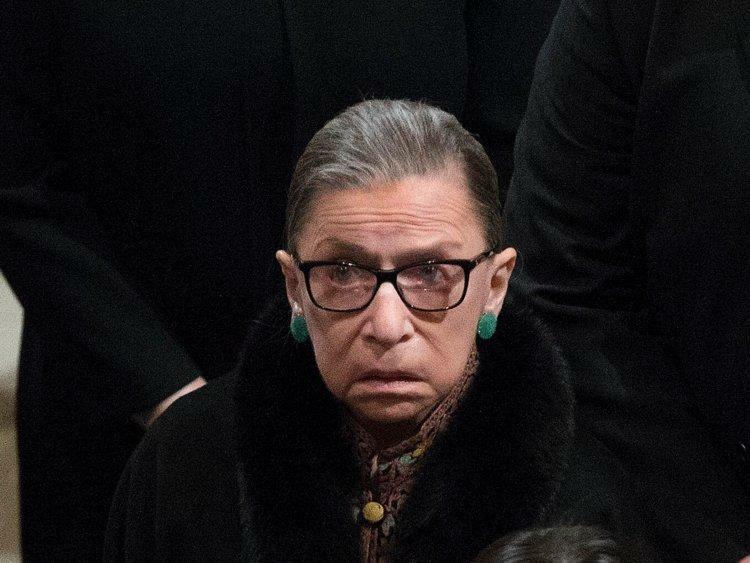 That said, Ginsburg, who leads the court's liberal wing, already has hired clerks for the term that extends into 2020, indicating she has no plans to retire.